I’m still going!! I finished the equivalent of 5 marathons on October 31st (2 months). 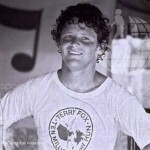 I started moving on Sept. 1, 2014 to honour Terry Fox (read more). You can follow my progress and you can see that my running (jogging?) is improving. I may have turned the corner where I’m starting to feel better on the days when I’m jogging then on the days when I’m not. These are the dangerous days because I want to run more than is healthy and I’m trying to avoid injury. Thanks to everyone who has sent encouragement! When I settle on an event, I’ll let you know. I was jogging in our Stanley Park, noticing the literalness of fall = leaves falling of the tree, waves crashing on the shore. I was swerving to miss one of those dangerous Canada geese when a maple leaf smacked me in the face! Covered my eyes and mouth! Awesome!!!! 5 marathons in 2 months is a lot of running! It’s a combination of running, walking, and cycling. The running is 1:1, walking is 1.5:1, and cycling 4.3:1. But I’m definitely moving a lot more than I was last year at this time!